Hitachi Starboard FX-89WE2 Interactive Whiteboard is a leading technology in the industry for collaborative communication solutions. It serves as the perfect complementary product to effective communicators and helps make work/study sessions more engaging. The Starboard FX-89WE2 sports a large 89” touchscreen panel with a contrast ratio of 16:10. This combination of specifications guarantees participants an adequate workspace to collaborate on and ensures that everyone gets enough personal space. The screen’s composition high density polyester material and heat-infused protective coating lend it a long life. 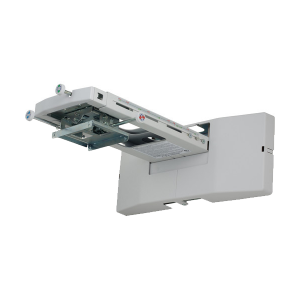 3M offers a 3 year warranty for the screen for an unlimited number of touches. The FX-89WE2 comes installed with the very easy to use Hitachi Starboard Software. 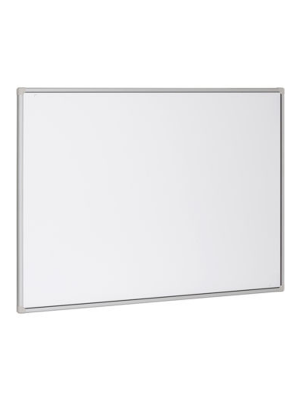 This intuitive user interface enhances the scope of this whiteboard’s usage so presentations and lectures are more dynamic. Supporting Windows, MAC and Linux OS, it virtually works with any modern system. Using the Starboard software, customers can browse the internet, search for communicative photos on Google images and even import/export files to and fro externally connected devices. Other features include Microsoft Office support, handwriting recognition and whiteboard file sharing in the form of IWB Common File Formats. 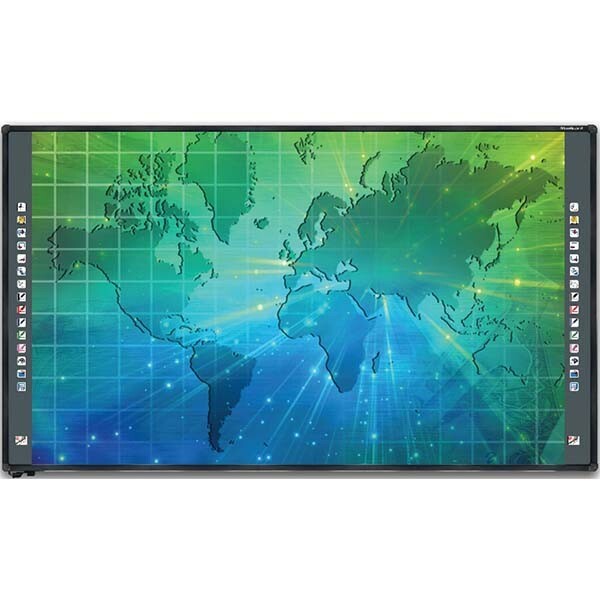 The Hitachi FX-89WE2 Interactive Whiteboard is the ideal product to use in classrooms and conferences. Remote conferencing allows large companies to collaborate effectively with participants all around the world. Teachers can benefit from it in the form of interactive teaching sessions involving games and group activities. 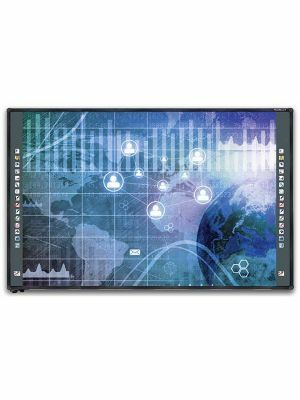 The Hitachi Starboard FX-89WE2 Interactive Whiteboard is definitely a product worth having in one’s workplace, since it perfectly complements communication methods and provides excellent support. The 89” display of Hitachi FX – 89WE2 Whiteboard gives stunning and brilliant result with vibrant and sharp colors. The big display means more working space for users to work simultaneously. 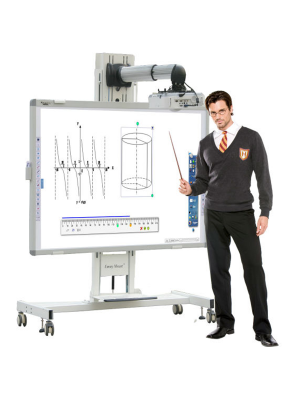 The Hitachi FX-89WE2 Interactive Whiteboard is the ideal product to use in classrooms and conferences. Remote conferencing allows large companies to collaborate effectively with participants all around the world. Teachers can benefit from it in the form of interactive teaching sessions involving games and group activities. 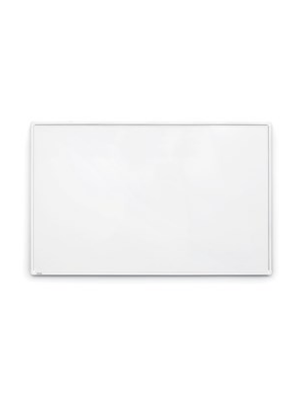 The Interactive Whiteboard is compatible with popular operating systems such as Windows, Mac, Linux, etc. This is an extremely convenient specification for corporations because meetings are usually attended by different people who prefer different operating systems. 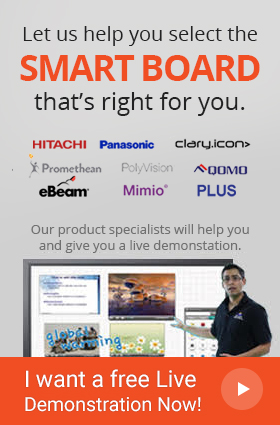 Q: What hardware do I need for FX-89WE2 Interactive Whiteboard? A: The only thing you need is a computer or a projector for FX-89WE2 Interactive Whiteboard to work. Q: Do I need to install other drivers or software to set up the FX-89WE2 Interactive Whiteboard? A: No, the Starboard FX-89WE2 comes preinstalled with all the necessary software and drivers. 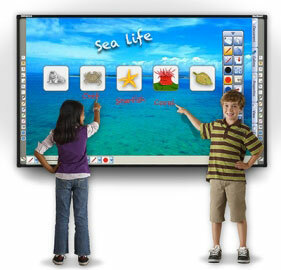 Q: Can this Starboard Interactive Whiteboard endure rough usage? A: Yes! The Starboard FX-89WE2 comes with a heat infused protective touchscreen that can tolerate the roughest touch. Q: What can I do with the Starboard software? A: The Starboard software lets users browse the internet, search for communicative photos on Google images and even import/export files to and fro externally connected devices. It also comes with MS Office compatibility, handwriting recognition and several other useful features. Q: Does FX-89WE2 Interactive Whiteboard come with a warranty? A: Yes, the users get a 3 – year warranty on purchasing Starboard FX-89WE2.